Whenever there is a report of a drug company jacking up the price of a prescription medication, the pharma industry is often quick to point out that there are non-profit charities ready and willing to help patients get these drugs at a more affordable rate. 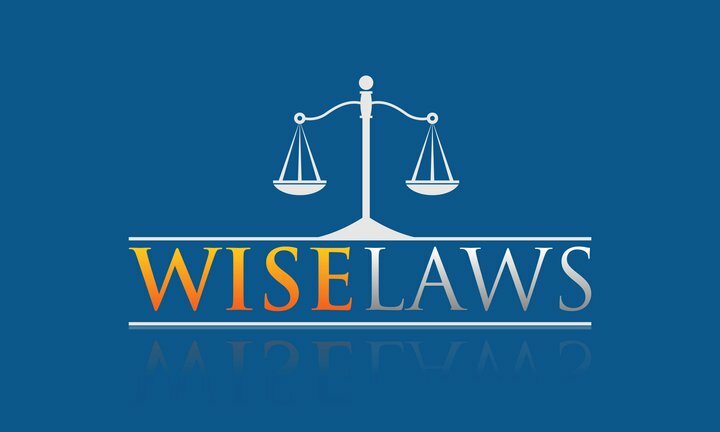 However, those charities may have very close ties to the drug maker that could not only help the company turn a profit, but avoid some tax obligations. 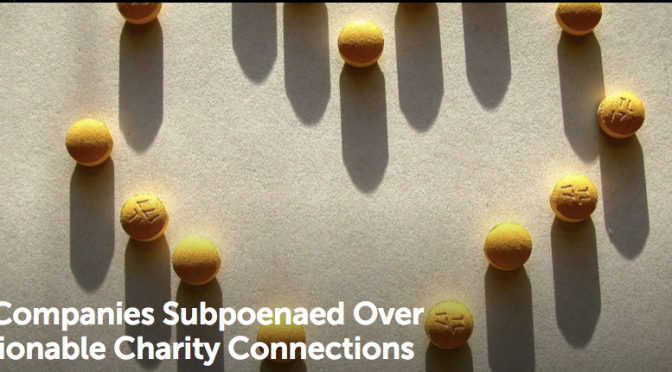 In recent months, several large pharmaceutical companies have been subpoenaed as part of an ongoing federal investigation into these connections. It works like this: Bob’s Drug Company acquires the rights to prescription drug Gleemonex and decides to jack up the price 500%, knowing that some people will not be able to afford the co-pay. However, it’s in the interest of Bob to keep as many patients using Gleemonex as possible, so it looks for ways to make the drug more affordable to those most in need: low-income patients on Medicare. Now, Bob’s Drug Co. can’t directly fund the co-pay of a Medicare patient. That would effectively be Bob paying Bob, which is an illegal kickback under federal law. What Bob can do is call Sally’s Drug Charity, which will cover the Medicare co-pay on certain drugs. So Bob makes a sizable donation, which Sally can then use to make Medicare co-pays, meaning patients continue using Gleemonex. Thing is, while the Medicare patient isn’t having to go broke paying for Gleemonex, taxpayers might be. After all, the co-pay is usually only a fraction of the full amount that Medicare pays to the drug maker. Thus, Bob continues to get the full Medicare payment and enjoy the tax write-off from his donation to Sally’s charity. Bloomberg BusinessWeek recently published an entire cover story on how the pharma industry uses these charities for their own financial, tax, and public-relations benefit. You should definitely check it out. Today, Bloomberg published a story on the string of subpoenas issued to four high-profile pharma companies — Valeant, Gilead Sciencse, Biogen, and Jazz Pharmaceuticals — since last fall, mostly by federal prosecutors out of Massachusetts. The nature of the subpoenas is vague, though they do reference investigations into the companies’ relationships with co-pay charties. With Medicare on the hook for the balance of these prescription payments, the federal government is taking a particular interest in the possibility that drug makers have exerted too much influence over these charities as donations have grown. Since 2010, donations to the seven biggest co-pay charities have more than doubled, reaching $1.1 billion in 2014. Going back to the above fictional example: Under the law, Sally is not supposed to be swayed by Bob or other donors when it comes to which drugs it chooses to cover, which patients to accept, or how much of each drugs co-pay it will subsidize. So if Sally is covers co-pays for a competitor to Gleemonex, she can’t be swayed by Bob’s big bucks to give preferential treatment to his drug. Recent reports indicate that some charities’ practices may have been motivated by donor money. For example, former employees at one charity told Bloomberg that when patients needed Jazz narcolepsy medication Xyrem, they were processed in a time manner, while patients seeking co-pay help for competing narcolepsy drugs were sometimes steered away or wait-listed if that other company wasn’t also donating to the charity. The charities have denied allegations of favoritism of bad practices.